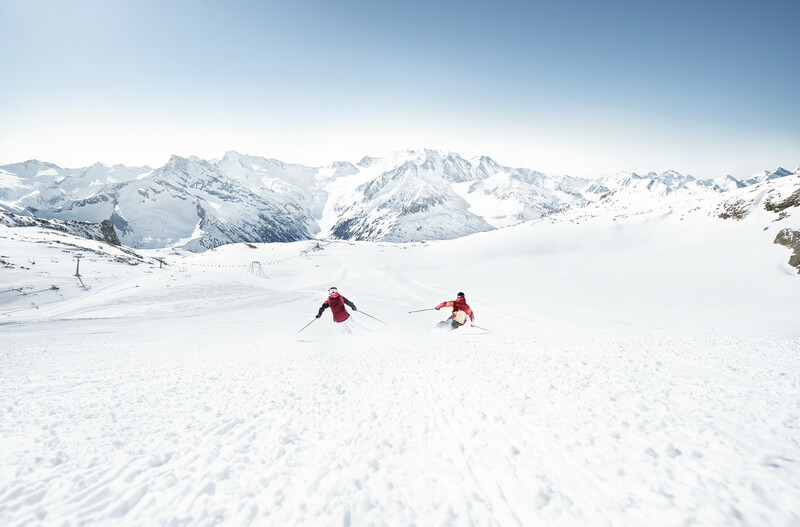 Skiing is usually possible throughout the year in the glacier ski area Hintertuxer Gletscher. The Hintertuxer Gletscher constitutes of the Gefrorene-Wand-Keeses (also Tuxer Ferner) as well as the neighbouring Riepenkeeses in the background of the Tuxertal, a tributary valley of the Zillertal. Both glaciers can be easily accessed with modern lifts or skyrides. The highest elevation of the ski area reaches up to an altitude of 3250 m to the saddle between the summits of the Gefrorene-Wand. The glacier ski area Hintertuxer Gletscher is well known for the reliable snow conditions and there are skiing schools for children and beginners. Get snow reports and powder alarms from Hintertuxer Glacier straight to your inbox! To be on the ski slopes in May is to be one of the lucky few on the planet.